The Orlando Regional REALTOR® Association is pleased to announce 2017 class of ORRA Young Professionals Network 20 Under 40 Rising Stars In Real Estate Awards recipients. These notable young REALTORS® were selected by the ORRA Awards Committee for their demonstrated excellence in career and service to both community and the real estate industry. The median price of Orlando homes sold during the month of July increased almost 7 percent while sales decreased 0.2 percent compared to July 2016, reports the Orlando Regional REALTOR® Association. Inventory continued its year-over-year slide. Orlando home sales increased 14 percent in May compared to May of 2016 while the median price jumped 7.4 percent, reports the Orlando Regional REALTOR® Association. Inventory continued its year-over-year slide and dropped by 16.8 percent, but a small relief was found in the 1.2 percent increase in the number of homes available in May compared to April. Orlando home sales declined 4 percent in April compared to April of 2016, in large part the result of sustained declines in the number of homes available for purchase. Orlando’s skimpy inventory also continued to push prices upwards, with the area’s year-over-year median home price again hitting a double-digit increase. The Orlando housing market experienced increases in both median price and sales in February, while the inventory of homes available for purchase shrank by 21 percent in comparison to February of last year. ORRA is pleased to recommend REALTOR® Chris Sapp, Suzi Karr Realty, for election to Windermere Town Council along with additional candidates running for public office. The municipal election will be held on Tuesday, March 14. The Orlando Regional REALTOR® Foundation has been honored with an Award of Excellence from the 2016 Orange County Sustainable Development Awards. The foundation is the charitable arm of the Orlando Regional REALTOR® Association, which as the nation’s 10th largest local REALTOR® organization represents more than 12,500 Central Florida real estate professionals. The mission of Orlando Regional REALTOR® Foundation is to address the area’s critical need for affordable, workforce housing. The Orlando housing market experienced increases in both median price and sales in January, while the pool of homes available for purchase shrank by 21 percent in comparison to January of last year. 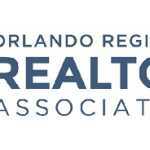 The Orlando Regional REALTOR® Association, which as the nation’s 10th largest REALTOR® association represents more than 12,500 Central Florida real estate professionals, has announced its 2016 award recipients. The Orlando Regional REALTOR® Association is one of the largest local trade associations in the state of Florida, with more than 12,000 members in Orange, Seminole, and the surrounding counties.